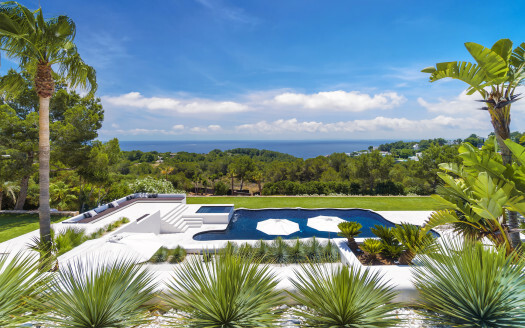 Los Olivos is an amazing green Luxury Villa, decorated by a well known international designer hand to hand with the owners, authentic art experts, creating this unique Estate. 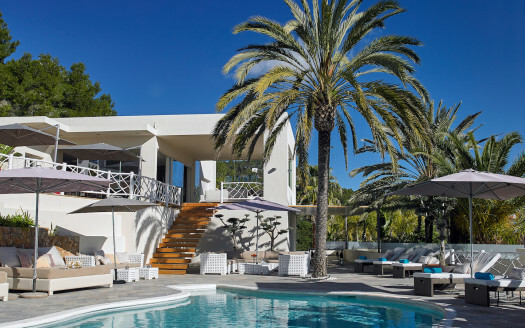 The beautiful villa is situated in a quite valley, pure countryside environment very private, very close to Ibiza town and San Rafael. 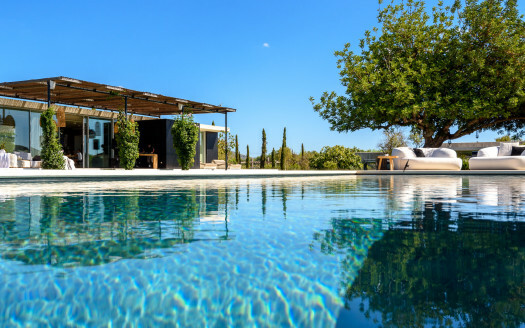 Villa los Olivos has over 150,000 sq feet of land including a flower garden, a fruit tree grove, and a vegetable garden (all organic and biodynamic) of course the guests are entitled to help themselves to the fruit and vegetables). The property is full of mature olive, carob and almond trees (some of the olive trees are over 1000 years old). Carport equipped with a plug for electric car.